Just take few minutes at the end of your day and stick a mood note into your task board reflecting your current mood. Was it a good day? A bad day? a sad day? What was it like today? We do it with agile teams, why not doing it as a family or for personal feedback? Sometimes, when coaching an agile team we use this neat tool called “mood chart”. This mood chart allows the team to reflect over its mood for a period of time. Why? Because we mind how the team feels, especially when we are in a methodological or organizational transition. And what else? Awareness. When I see something on my task board I am becoming aware of it. When the team needs to reflect over their mood, the mood becomes something that they are aware of. Since they need to visualize it as a team, they need to talk it over to think and agree over the current mood status of the day. And what else? The mood visualization allows the coach, the team and others to see the team mood, identify trends, changes and relevant affects. In fact it welcomes others to approach the team and talk about it. These are issues that sometimes are pretty hard to talk about and perceived as “complaints” especially when we are dealing with negative mood signs. Furthermore, visibility, and “allowing talking about it”, also open the door to get to the root cause of things, understand what we need to change, keep or fix. We can also detect and relate in a very early stage changes in the team mood. Usually, once we solve one issue, a new one raise posing new challenges. Isn’t it just wonderful? Deal with one thing, and get another as a gift? It is, it means we have made a progress. Being able to deal with events that are feelings related, during an organization transition is crucial to our transition success. In fact, this method is not an agile hi-tech new invention , it is widely used outside the hi-tech industry for decades. I have seen coaches offering tables of characters with lots of moods and colors display allowing to analyzing and conclude over specific mood and behaviors. In this post I will try to present the simplest way I think we can use the “mood chart” at home with our kids. I am counting on you guys that you will know how to make it a fit and change it to your own needs. Anyhow, I have added few links at the bottom of this post for further reading. · It is a wonderful and ‘legit’ way to talk about our feelings. After the kids have just placed it on the task board for everyone to see. · The mood is visible, we don’t need to guess it. · Our kid’s mood and feelings gets a proper attention. · It actually replaces “complaints”. · We may find areas, issues or feelings we weren’t aware of as parents till this day. 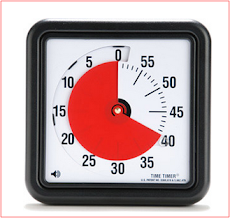 When I am offering to use agile , I am also referring to a practical way to get things done. So how do take this mood signs and make it practical? How do we draw out action items out of it ? How can we deal with the verity of issue raise due to mood chart visibility? Obviously, let’s first create the mood visibility. 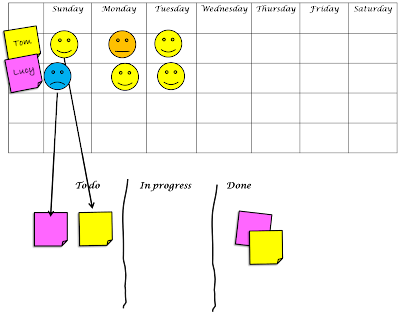 We can draw graphs, or just place happy faces on the task board, whatever we think is good for us. 2. Define as a family 1-3 or 1-6 levels of mood faces. It doesn’t really matter how many. What matters is the ability of the family members to reflect over their mood and feelings and to relate to it. The conversation, as a family is important. I have already seen, how kids elaborate faces as they go. 4. Take an action task for the next day that is related to a mood change and add it to the family task board. 5. And don’t forget to have fun . 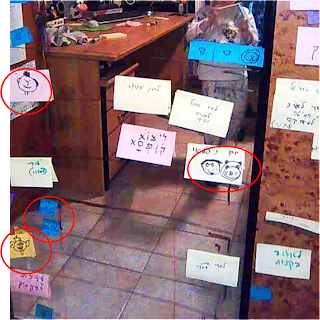 Here is another example where you can see how the kids placed the mood stickies inside their task board as part of their daily tasks. information you provide here. Please let me now if this okk with you. the amazing works guys I've added youu guys to my personal blogroll.